Here at Ford Primary School, children are taught how to be safe digital citizens via our digital literacy lessons. To make sure that we are covering a variety of different situations that the children may face, we follow the SWGFL Digital Literacy materials (http://www.digital-literacy.org.uk/Home.aspx). We cover areas such as what to do if we see something online that we don't like; cyberbullying; advertisements; safe passwords; plagiarism and personal information to name just a few. 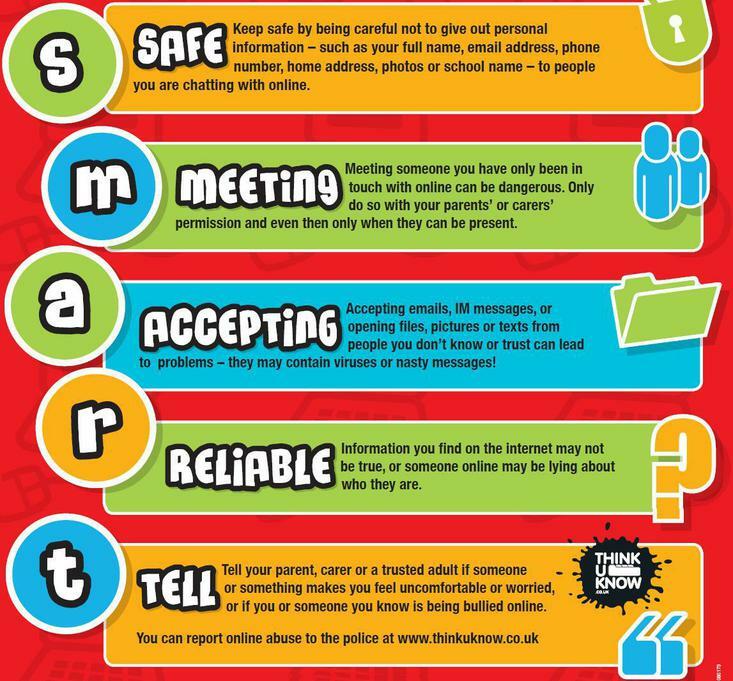 All classrooms have a SMART poster visible to remind children what to do if they encounter a webpage/person they are uncomfortable with. We assess the effectiveness of our e-safety program with annual interviews with the children by the computing co-ordinator. If any parents have concerns about anything relating to E-Safety, please don't hesitate to contact Year 6 teacher, Mr Ogier, at anytime.